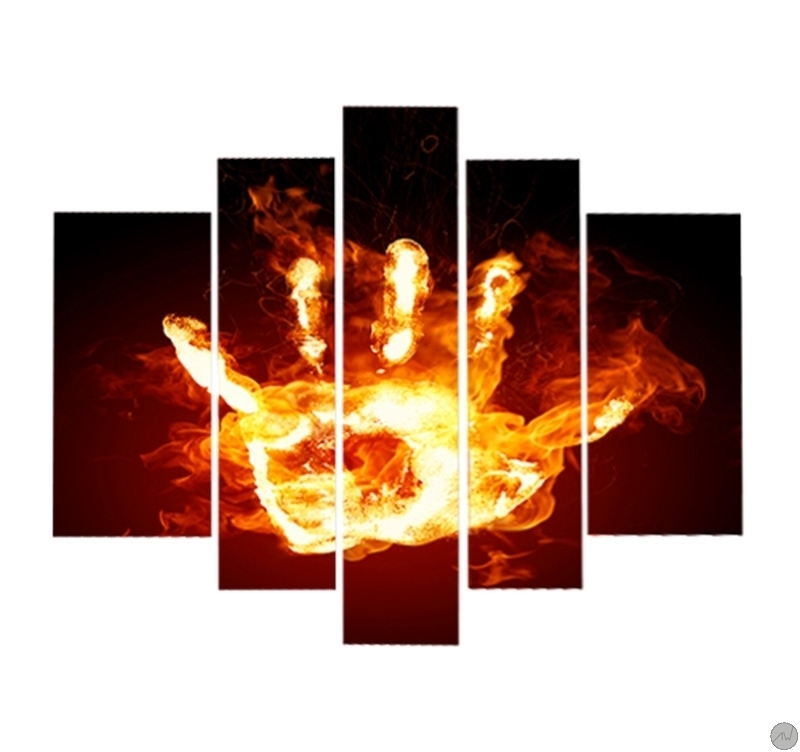 The fire hand shown in a modern way on this deco canvas is a symbol of energy and protection. The dimensions of this design canvas are 170X100cm. Free 24/48h delivery in metropolitan France for this decorative canvas. Each modern frame is waterproof and treated anti-UV. 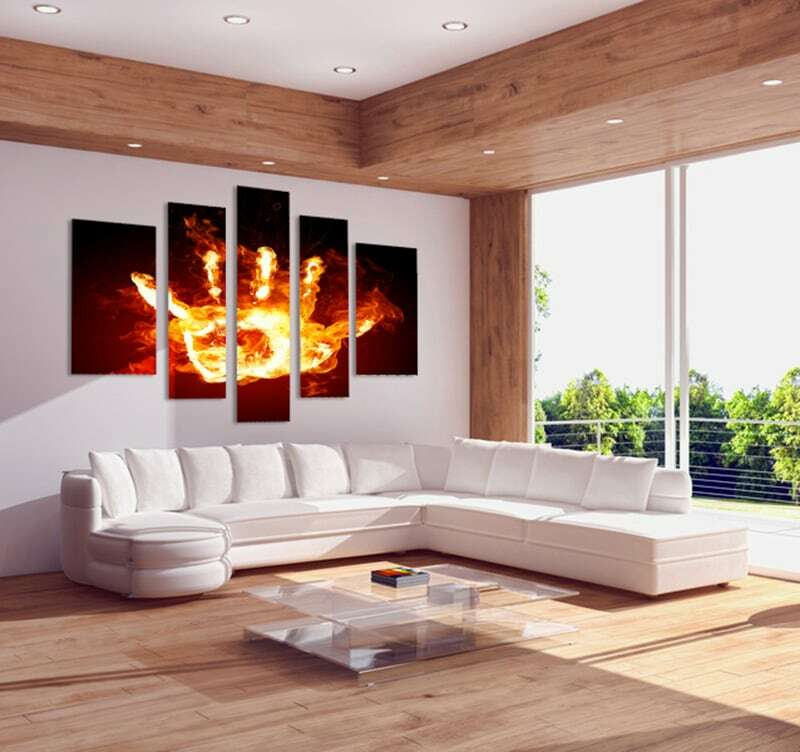 The large canvas “Fire Hand” is composed of five asymmetrical elements and will bring warmth to your room with its orange tones on a black background. 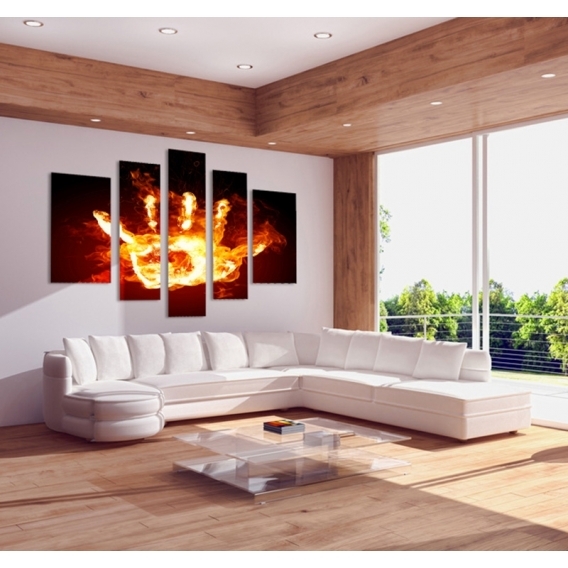 This XXL canvas printed will easily bring a contemporary style and will perfectly fit in your home decoration. All our wall canvases are printed on a cotton canvass and stretched on a Canadian pinewood frame so the picture is ready-to-hang. The contemporary canvases are delivered wrapped and with cardboard corners and hanging system. 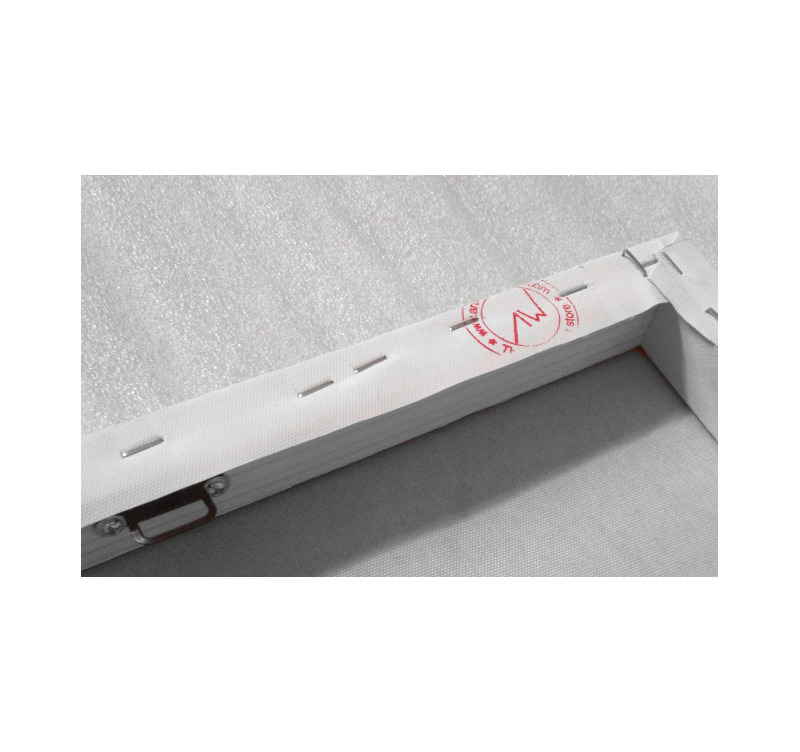 All the photos are anti-UV and anti-damp treated to ensure a better finish and a long-lasting quality. je suis satisfaite de mon achat, cependant le seul bémol que j'y mettrai est que la photo présentée avec le salon blanc, donne un côté foncé sur les côtés du tableau (tirant vers le noir, d'ou mon choix aussi) alors que pas du tout en réalité..